South Africa certainly has a history of overcoming adversity, and redeveloping its waterfront into a regional and diverse destination was no exception. It will never happen, its critics insisted. No financial institution would finance the project. As apartheid was winding down, South Africa was still politically very isolated from the world and in a general economic recession. There were no government subsidies available and many simply didn’t believe it was possible given the country’s economic and political instability. Built as a harbor since 1860, as the fishing and ship repair industries waned in the 1970s, the harbor became fenced off and derelict. Still, a growing crowd began to believe. In the late 1970s and early 1980s, the citizens of Cape Town campaigned vigorously to reverse the isolation of the City from its waterfront. 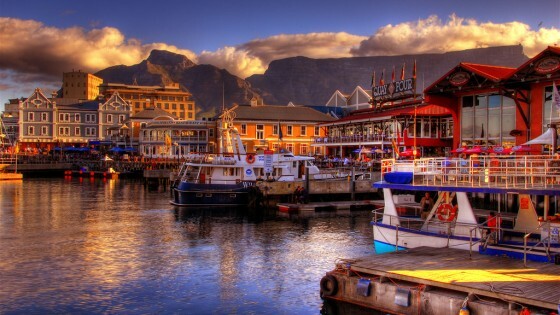 In 1984 the Mayor of Cape Town, Alderman Sol Kreiner, established a Waterfront Steering Committee to redevelop the waterfront as a live, work and play destination. In November 1988, Victoria and Alfred Waterfront (Pty) Ltd (â€œV&AWâ€), named after two formerly constructed basins, was established as a wholly-owned subsidiary by Transnet Ltd to redevelop the area. This momentum lead to the State-owned South African Transport Services (now Transnet Limited) to fund the initial $30 million (205 million South African Rand). Today, the http://en.wikipedia.org/wiki/Victoria_%26_Alfred_Waterfront”>The Victoria & Alfred Waterfront is a Cape Town landmark and South Africa’s most-visited attraction with 22 million visitors annually, providing over 11,000 permanent jobs and $4 million (30 million Rand) a year in property taxes. It secured over $400 million (3 billion Rand) in investment over six phases and two residential projects, and an international consortium recently bought the development for over $1 billion (7.4 billion Rand). – Create appropriate public places within the V&A Waterfront. Extensive waterfront outdoor dining, pedestrian promenades, plazas, amphitheater. – Develop the V&A Waterfront in ways which account for its special location, conditions & history. See below. – Achieve financial self-sufficiency. See above. – Create a rich and diverse environment. A melting pot of cultures and ethnicities. A hundred local craft shops located in two artist warehouses. – Promote tourism and recreation. An aquarium, SAS Somerset museum ship, maritime museum. – Create residential development opportunities. Marina housing stretches several blocks, though gated and luxury priced. At least it provides a permanent population, which is a security asset. – Create a viable business base. There are countless ways to spend money at the Waterfront, economically anchored by 250,000 s.f. of shopping mall stores and cineplex/IMAX in a renovated wharf, five star hotel, office space and luxury housing. – Restore the historic link between the harbour and the City of Cape Town. The Waterfront continues to function as a working harbor with tugs, fishing boats, and a rather intimidating dry dock. A 19th century prison is now a hotel. – Conserve and enhance elements with cultural significance. Most every building is fronting the water is historically preserved. The Nelson Mandela Gateway offers boat trips to Robben Island (where Mandela was imprisoned for 18 of his 27 years). – Adopt a flexible development programme that can respond to changing market trends. An underrated principle, most every building accommodates changes in use, as they already have, mainly because of its human scale. – Build on a waterfront’s unique qualities. Unlike a coastal resort, a harbor site is focused on concentrated public activity. – Respect the water as a body of space. The shape and character of the water space is effectively framed as a stage by surrounding buildings. – Maximize waterfront views. Most every building fronting the water features outdoor dining with a view. Table Mountain provides a spectacular backdrop (pictured). – Focus on water-dependent and water-related uses. Cruises, great white shark cage experiences. – Create a balance of retail, residential, hotel, office and recreational uses. The Waterfront feels like it’s in use 24 hours a day, seven days a week. – Create a wide variety of waterfront spaces: promenades, plazas, landscaped courts, outdoor spaces. Spaces for walking, jogging, shopping, dining, etc. are abundant. – Design waterfront spaces for public events and celebrations. Spaces hosting celebratory events attract large gatherings of locals and visitors on a year-round basis, including World Cup 2010. Read more about the Waterfront’s redevelopment here.